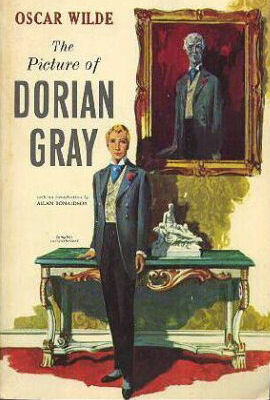 Yes, my friends were right, it was just like “Dorian Gray”, I had changed. To confirm their thoughts, I decided to review images of myself over the past few months, just to see if there were any visual signs. I perused Facebook and a multitude of iPhone images and aligned them in chronological date order hoping to find a clue. I quizzed my friends as to what differences they were observing in me, in particular, when they thought the change may have occurred? I needed to discover my behavioural tipping point and it’s potential origin. I spend the whole night pondering my notes, looking at photographs and at 11:34 PM that evening, I noticed it. The initial change was subtle, but the time comparison between then and now was momentous. Yes, I had changed, and in a big way. I was now a much more confident, outgoing individual, with a continual smile on my face. My business attire of the traditional and conservative dark blue suit with white shirt, and boring striped tie, had been replaced with a stylish array of coloured shirts with cuff-linked sleeves, bow-ties, pocket hankies, and an impressive daily shaved smooth slick head. The point zero appeared to coincide when I began working for a new company, one that had an amazingly vibrant work ethic and culture. As a pondered and thought about this further, the term “cultural chemicalization” came to mind. For those of who reading this blog post let me explain the concept further. If I were to look up the term “cultural chemicalization” in a dictionary, it would say: “the subconscious absorption (or chemicalization) of an organization’s culture by an employee where a change in behavioural state occurs”. Yes, I had subconsciously, and quite happily I must admit, absorbed the positive culture of my new place of work, and the more I thought about it, so had all my fellow colleagues. The result was an amazing environment where creativity and innovation excelled to the fullest. The process of “cultural chemicalization” begins with the CEO and the Executive Team. It is their behaviour that sets the benchmark for all employees and those they meet externally. As that saying goes, “what you see is what you get”. As an employee, if you observe a positive, enthusiastic management team, you and your organization will respond accordingly. If you see “nothing”, then that’s exactly what you will receive and experience. Yes, my friends were right, I had changed, and I was loving it!